Bruce Pomer’s career in public health spans 40 years in state government and the nonprofit sector in Sacramento. 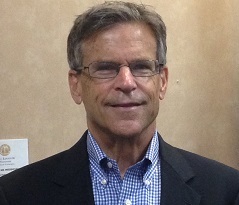 He has been executive director of the Health Officers Association of California (HOAC) since 1993. From 1983 to 1993, Mr. Pomer was director of governmental affairs for HOAC. From 1971 to 1983, he held a number of executive positions at the California State Department of Health Services, including chief of external affairs and chief of the Medi-Cal Field Services Section, where he supervised a staff of over 400 employees. Bruce retired from HOAC at the end of September. He spoke with NACCHO Voice on Sept. 23. Please tell us a little bit about your career path. I imagined myself becoming a policy expert in some area and having a niche in Sacramento. I thought that I would get involved in public policy and that before I finished my career, I would make one credible run for office. After I graduated from University of California, Davis, in 1971, there weren’t many jobs available. But I got a graduate assistant position with the old state department of mental health. A few years later I was moved to what was then the state department of health. At the time, I was staffing advisory groups to the state; within that staffing was the California Conference of Local Health Officers. They needed a staff person so they placed me, at 24 years old, in that position. As it so happens, I didn’t know anything about public health. In the beginning, the doctors (health officers) were talking to me about stuff that I didn’t understand but over time I learned. In public health at that time, experts really controlled the action. People did not question science like they do today. My members had a lot of power because of their expertise but that expertise was starting to be questioned. I realized that I had to help the health officers strengthen their ability to present expertise within the policy development process. I represent a group of public health physicians but I’ve never once thought I was the expert. I knew it was my job to make sure that their expertise got to the table and was part of the public discussion. You’ve been in public health for more than 40 years. What’s changed for state and local health officials since you started? There was a lot more respect for public service and a lot more respect for professional expertise. It was less political then. In other words, the complexity of interest groups involved in the discussion of issues didn’t exist like they do today. It doesn’t mean that expertise doesn’t have a role now; you just have to be smarter about how you leverage it and get it into the process. The other thing is the “fiscalization” of policy. I saw the tail end of the great era, the 25 years after World War II when California was building highways, the university system, and the hospital system. But as we got into the 1970s, as we had some of these recessions, policy became more about dollars and less about substance. When I started, a director of a department had power. A director could go to the legislature and directly lobby for something. Now everything is controlled by the department of finance. Directors run the departments but they don’t have the influence. How have you raised the visibility of local health departments with policymakers? Once you introduce people to who you are, you have to have ownership, you have to have a program that you’re pushing in the Capitol. If you don’t have your own legislation, if you don’t have your own specific budget item that everybody knows you’re sponsoring, you can’t take it to the next level. About 20 years ago, I realized that was the single thing I needed to do with HOAC. Up to that time, we reviewed legislation, we provided testimony and expertise, and we talked to people about what local health departments did. We even sought amendments to things when we thought things wouldn’t work. But we didn’t proactively sponsor bills. It wasn’t until we proactively sponsored our own bills that we became real players in the system. You have to develop relationships. You have to think long-term. If you’re not going to be in this battle for a long time, you’re not going to get anything done. A great political consultant that I know in Sacramento said this to me: “There are no winners or losers—just short-term and long-term players.” The people who play for the long haul eventually win. Case in point: we lost our department of public health in 1973. When I took the job with the health officers, the primary thing on our mind was to recreate that separate department of public health. You know how long it took us? Until 2006. We never lost sight and we always kept our eye on the ball. What has been the most challenging issue you’ve faced at HOAC? I’d say the most challenging issue I’ve faced was keeping the role of the physician health officer alive. When I first took the job, I remember a lobbyist saying to me “Physician health officers are dinosaurs. In a couple of years, they aren’t even going to be around.” People didn’t necessarily like physicians in positions of power because their allegiance isn’t to a bureaucracy; it’s to a professional set of ideals. The worst of the battle was between the late 1980s up to 9/11. There were actually attempts to take the physician requirement out of the statute. I remember getting into a pitched battle with the counties about it and them threatening to cut off our dues. It was really a difficult time. Our succession plan to replace me as executive director is the thing that I’m most proud of. About 10 years ago we were awarded a grant that enabled us to hire Kat DeBurgh. She was 26 when we hired her. It became pretty clear after a few years that she was someone special and that’s why we decided to finance her master’s of public health, which she received from the University of North Carolina at Chapel Hill with honors. She is smart, she has leadership capability, and she knows how to take charge of a situation. About three years ago, I went to my membership and I said “I think it’s time for me to look at where the end is going to be.” It was a very difficult decision for me to make, to give up the love of my life, the way of my life, the passion that it turned out to be. But I told them we needed to do a final three-year contract and a succession plan and that I thought Kat is up to leading the organization. This year Kat got two bills on the governor’s desk, which will probably get two signatures. She’s done great work around the Capitol; people are raving about her. Her staff are motivated because she knows how to frame a goal and leave them alone. What I’m most proud of is that when I leave the organization on Sept. 30, my group isn’t going to miss a beat. What advice would you give to young professionals just starting their careers in local public health? I’d say, like anything, loyalty and persistence are the most important qualities. If you really want to be successful, you have to commit to it. Don’t let people tell you you’re a fool because you’re hanging in there, that you should jump around and be ambitious to get up the ladder. The bottom line is that if you believe in something and have passion for it, you’re going to be successful. Pick your team and stick with it. You have to be smart about seeing opportunity. You have to be flexible. In the long run, you’re going to win some things you don’t deserve to win and you’re going to lose some things that you don’t deserve to lose. You can’t get too high when you win and too low when you lose. Sometimes, the deck is going to be stacked against you and sometimes you’ll be incredibly lucky. But you have to stay in the game. You can’t win if you don’t stay in the game. This entry was posted in advocacy on October 7, 2014 by nacchovoice.